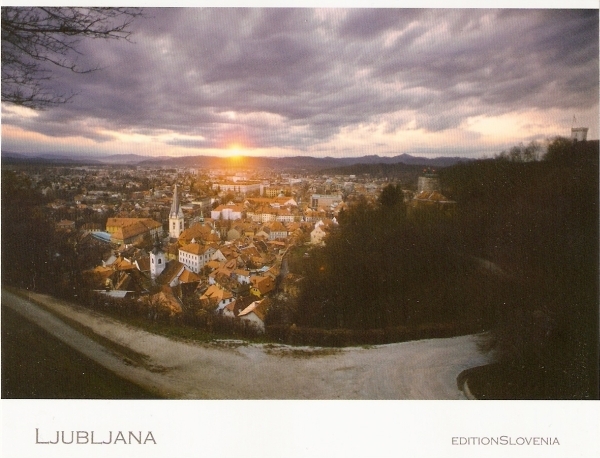 I went on a short trip to Ljubljana, the capital of Slovenia, with a few of my friends and brought back these two postcards for my collection. 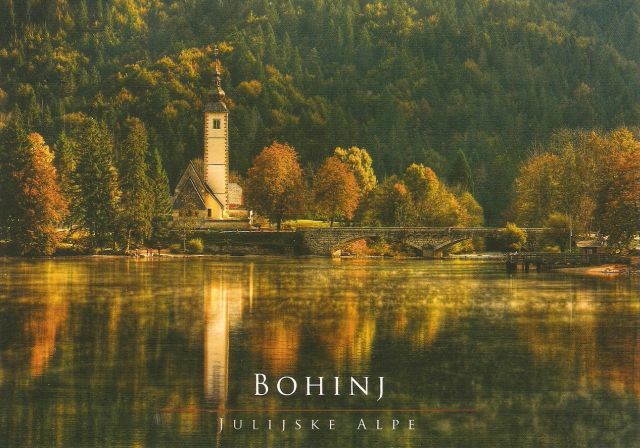 I really like the pictures on this postcards, I could stare at them all day! 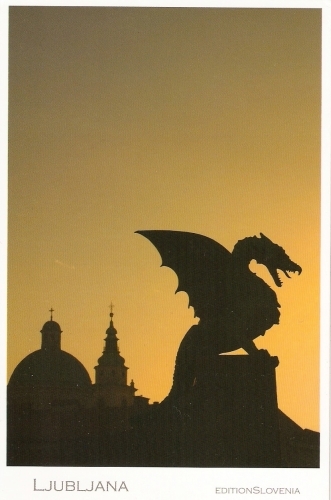 This is quite an awesome view of the Dragon Bridge, and I think those roofs in the background are the cathedral. 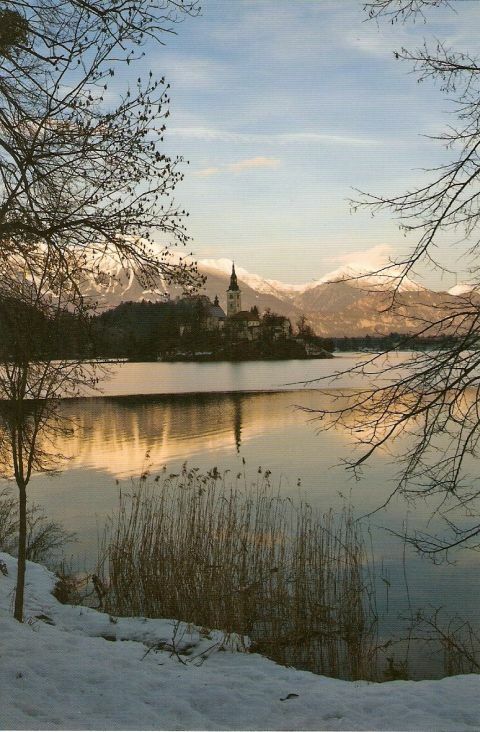 Lake Bled is a glacial lake in the Julian Alps, in the northwestern Slovenia. The area is a popular tourist destination. 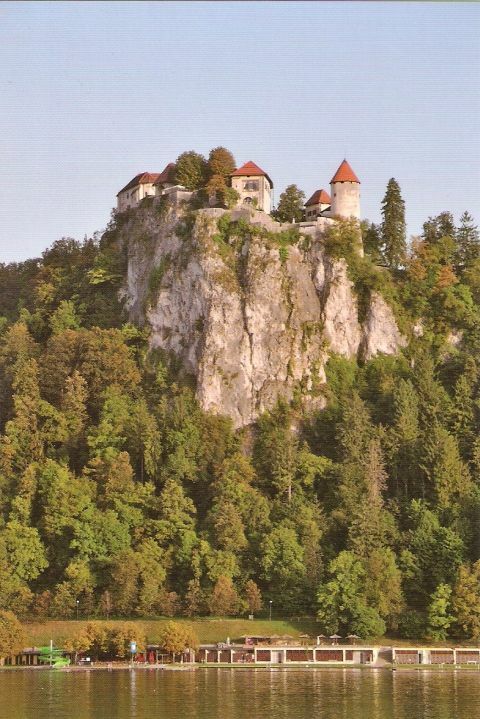 Bled Castle is the castle built on top of a 130 meter cliff overlooking lake Bled. 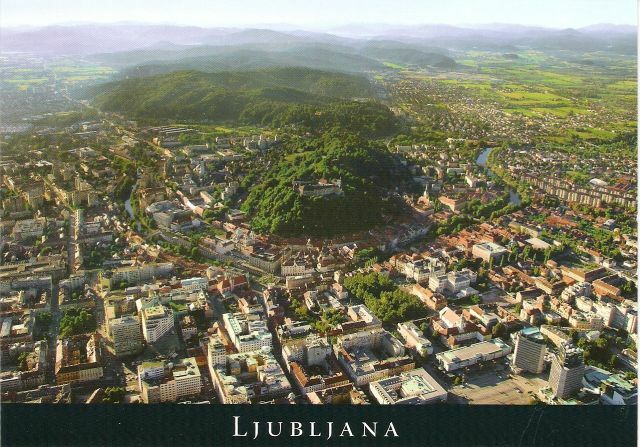 The castle was first mentioned in 1004, which makes it one of the oldest in Slovenia. For more into, CLICK HERE! 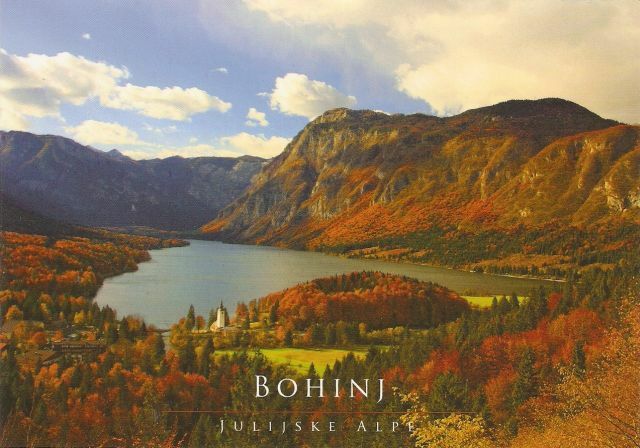 Bohinj is the largest permanent lake in Slovenia. 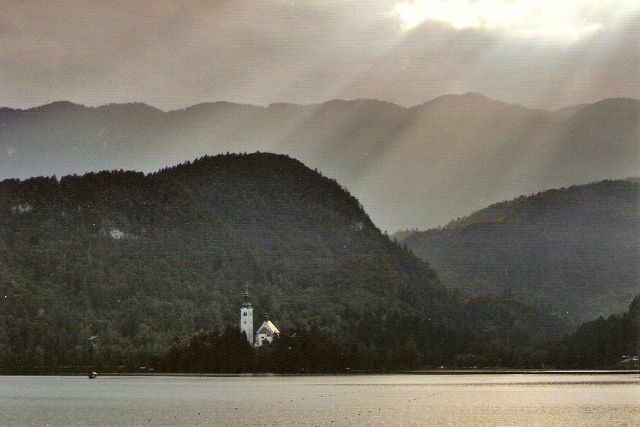 It’s located inside the Triglav National Park. The lake is 4,2 km long and 1 km at its maximum width. 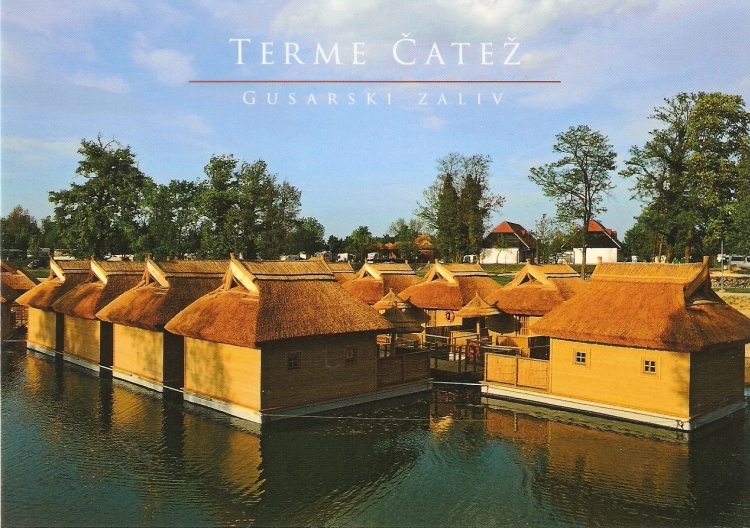 The area is associated with the legendary “Goldhorn” (Zlatorog), a white chamois with golden horns. A statue of the creature stands beside the lake. Piran is a town on Slovenian coast, on the Adriatic Sea. 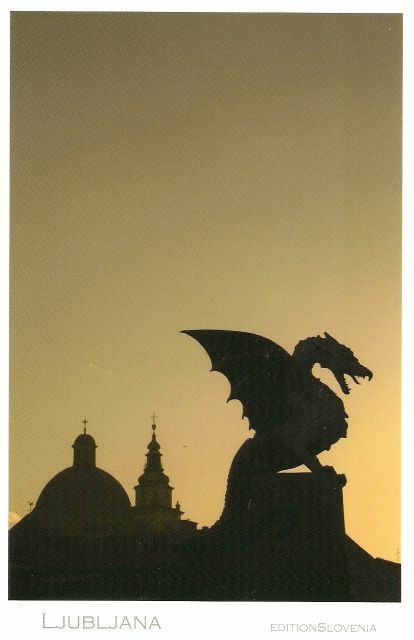 I really like the picture on this postcard! Postojna Cave is a 20,570 meters long cave system near Postojna, Slovenia. 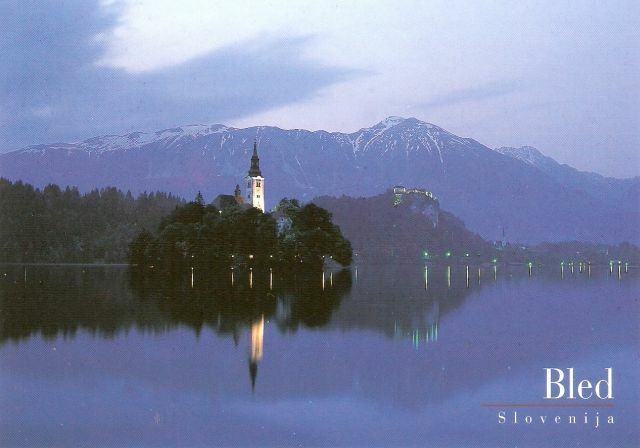 It’s the longest cave system in Slovenia and it attracts many tourists. Again, for more info CLICK HERE!